Here is an example on how to get the current time using Joda DateTime. 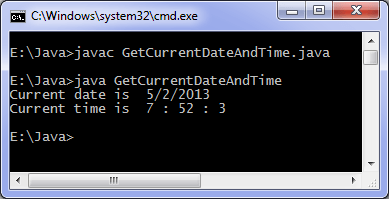 You can get the current date/time by simply creating a java.util.Date instance with the default constructor. If you need to use a java.sql.Date for whatever reason, you need to initialize it as new java.sql.Date( System.currentTimeMillis() ).